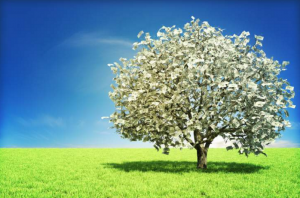 Can You Grow Your Money Tax-Free On Trees? Forestry and woodland investments have seen good returns even in years where the economy has not been strong. Woodland and forestry has had limited volatility since trees grow regardless as to the state of the economy. If prices are low one year, you can leave the trees to grow until prices rise. In this article we discuss how to grow your money in forestry and woodland investments, the tax benefits of this asset class and other ways to go tax-free on trees. Owning a piece of forest can bring pleasure as well as grow your money. Whilst you cannot build dwellings on this land, storage sheds and toilets are permitted, enabling you to enjoy your land and rent it out for events whist you wait for the timber to mature. Woodland maintenance will be an annual cost if you do not do prune trees for growth yourself, plus insurance against injuries. Forestry is best suited to those with surplus capital. There are two main ways you can invest, either by buying your own forest or a more affordable way into the market is through a forestry fund where investors pool resources to buy and farm a plot. Investors still get all the tax benefits, but management and administration are done on their behalf. These funds are all closed-end investments with most buyers forced to wait for a new launch or for existing investors to sell. Those who do not have the finances to invest in a forest might still enjoy healthy returns on trees by buying a small woodland. Woodlands have typically risen in value by 50 percent over the past five years. Owners who do a little work on the woodland, such as chopping trees and selling logs, may be able to claim the tax benefits enjoyed by commercial forests, though it is vital to seek tax advice about this. When buying woodland you must carry out a survey and pay legal fees and stamp duty on any purchase. There are significant opportunities for investors to make money in forestry due to rising timber and land values. The Forestry Index at the Investment Property Databank shows returns in forestry of nearly 11 percent in 2015 due to rising timber and land values. Over three years returns were 15 percent a year, over five years they were 19 per cent a year and over ten years they hit 18 percent a year. Ten years ago woodland cost £250 an acre, in 2916 the cost is closer to £1,000. What about the tax benefits? Both the land and the trees that you own qualify for business property relief. This means that after you have owned the land and trees for more than two years they are free of inheritance tax. If you die in the first two years of ownership then inheritance tax will have to be paid, but it is interest-free and payable over ten years. Capital gains tax is payable on the land, but not on the value of the tree crop. There is also no income tax on timber harvesting. Income made from hiring out your land for activities is taxable. Investors can almost certainly grow their money tax-free on trees.